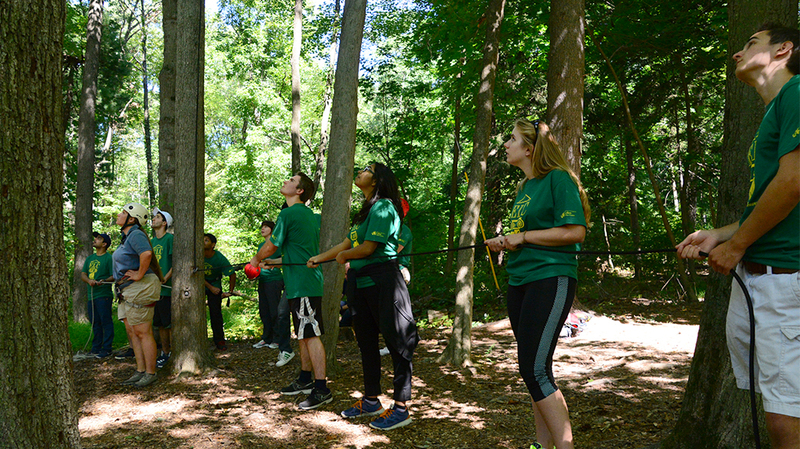 Students who participate in LeBow’s learning communities form strong bonds with fellow students during freshman year. 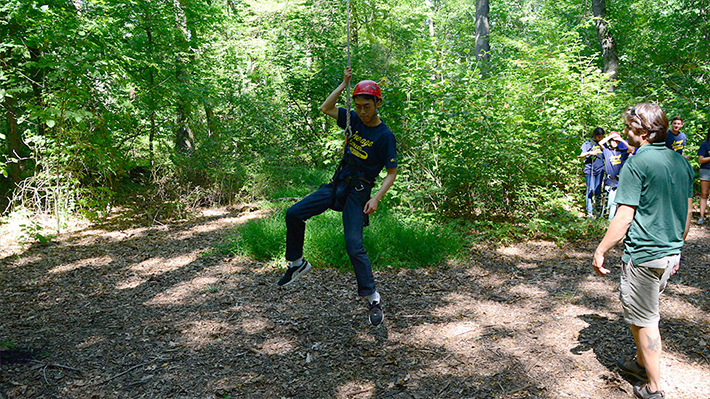 They are also extended opportunities for special events, such as their recent trip to Adventure Network’s ropes course (pictured above), and upcoming events including a bowling night, Thanksgiving potluck dinner, and visits to various companies including Comcast, KPMG and Ernst and Young. LeBow’s oldest learning community is BLC (Business Learning Community), comprised of students from all majors within the College. We now offer major-specific communities for students in the Business and Engineering program as well as for Economics majors. The LeBow Commuters community offers a great opportunity for students who live off-campus to make close friends with other students who commute. LeBow also has a program called BRIDGE (Building Relationships In Diverse Group Experiences), which is a little different from the other learning communities in that membership is offered by invitation only, and extends throughout a student’s undergraduate career. BRIDGE focuses on four pillars: academic excellence, financial literacy, and social and community engagement. Learn more about LeBow’s Learning Communities and BRIDGE.